Cyber security is a top priority for most businesses, and if it isn’t, it should be. Cyber security basics can protect your business from cyber threats through a layered security approach. One of the most important fundamentals of cyber security involves educating staff through security awareness training. Webroot Enhanced Security can ease the stress that comes with training staff on how to spot a potential cyber security threat. 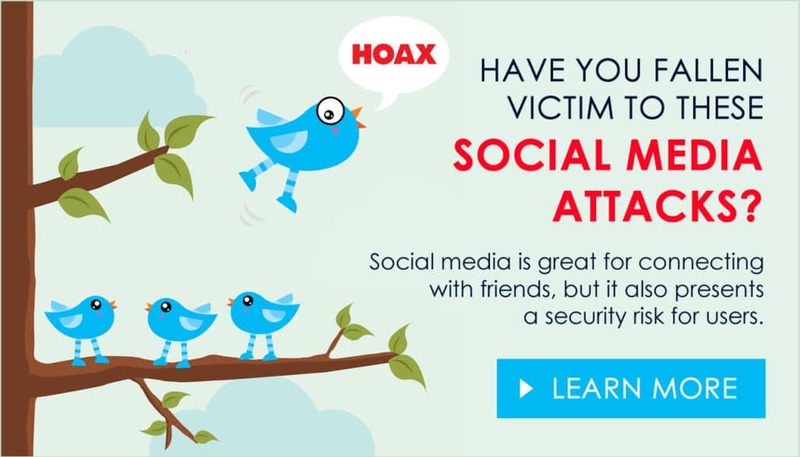 Webroot Enhanced Security provides a phishing simulator allowing you to create realistic phishing scams, that can mimic threats your business could potentially face. This simulator enables you to track each email and how each user responds. Being able to see this data allows you to fill in those cyber security educational gaps with a full course library to assign the appropriate training to specific end users. View more key features and courses included here. For a limited time, Ontech is waiving the set-up fee for your first campaign! What: Support BYOD & Enhance Productivity with Complete Mobility Management. Enjoy lunch and learn about this important topic! Smartphones and tablets continue to flood the workplace, and businesses everywhere are racing to appropriately regulate and manage these mobile devices. To support today’s bring-your-own-device (BYOD) movement, you’ll need a mobile device management (MDM) solution that keeps your employees happy – and keeps you in control. Ontech’s Mobile Device Management is an affordable, easy-to-use cloud platform containing all of the essential functionality for end-to-end management of today’s mobile devices, including iPhones, iPads, Androids, Kindle Fire devices, Windows Phones and BlackBerry smartphones. Unparalleled Peace of Mind Ontech answers the MDM challenge, with an easy-to-use platform that simplifies the management of personal devices – without compromising the user experience, security or privacy. Our solution provides flexible approaches for enrollment, asset management, policy enforcement and the distribution of profiles, apps and docs, all based on device ownership (whether corporate- or employee-owned). We’ll even handle day-to-day MDM monitoring and management, and only escalate back to you the alerts that you want. It’s truly a set-and-forget solution. Getting started couldn’t be easier. In just a few quick clicks, you can start enrolling devices and immediately manage the entire mobile device life cycle — from enrollment to enterprise integration, configuration and management, monitoring and security, support, and analytics and reporting. Separating Work & Play Your employees want to maintain one device for both work and play – they want to access corporate email, then check Facebook, jump back to email and review an upcoming presentation over lunch. This need for “dual personas” is exactly what our MDM solution aims to address. So go ahead, let your employees leverage their devices – and rest assured that critical business data and applications will remain safe, secure, and accessible. On your terms. The world has gone digital in a big way, creating a host of issues as well as enormous opportunities. The way we store and use data has undergone a profound shift in a short period of time, but all too often the security of that data has been in question. Now industry, government and concerned citizens are coming together to address those issues. World Backup Day is a time to back up your data and check your files, but March 31st is about much more than copying files. 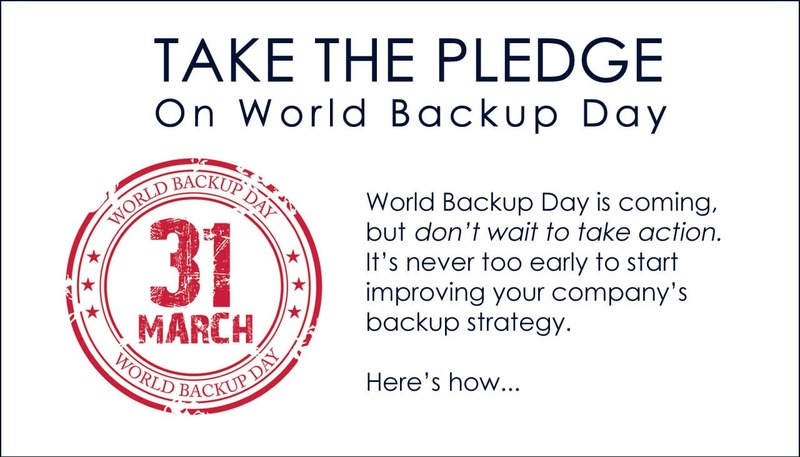 On March 31st, the founders of World Backup Day are banding together to raise awareness of a serious issue, one that affects businesses large and small and individuals alike. From the books we read and the movies we watch, to the music we listen to and the photos we store, digital data is everywhere. The digital nature of our cultural heritage makes secure backup an absolute necessity. Ontech Has Taken the Pledge – Will You? Creating and securing that digital heritage is what World Backup Day is all about. From ordinary users who have never backed up their data to businesses looking for a more secure data backup solution, everyone can get involved this year on March 31st. World Backup Day is coming fast, but you don’t need to wait to take action. Every day should be backup day, and it’s never too early to start – or too late to improve your company’s backup strategy. The shocking data backup statistics surrounding personal and business backups are troubling – further proof that World Backup Day is sorely needed. Studies show that nearly a third of all data disasters are the result of an accident, and 10% of all computers are currently harboring at least one virus. If you think your system is immune, you could be in for a rude awakening. No business is too large or small to benefit from a solid backup plan. As World Backup Day approaches, now is the perfect time to improve your backup strategy – or create a backup strategy for your business. Backing up your data is more than inserting a thumb drive into your desktop computer or connecting an external hard drive to a critical server. Developing a backup plan requires a comprehensive checklist, one that Ontech Systems is happy to assist with. Whether you already have a backup plan in place or you’re just getting started, our expert staff can help you create a plan that protects your data in an increasingly dangerous digital world. Backing up your data may seem like a daunting task, but not if you break it down the right way. If you want to secure your data and protect your business, the following data backup checklist can help. It’s time to get real about backing up your data, so why not use World Backup Day as the catalyst? This checklist could save your data – and your business. If you’re not verifying the validity of your backups on a regular basis, you are flying blind, so checking your existing backups should be the first order of business. Once that task has been completed, you can move on to the rest of the checklist. Make sure your backup includes ALL your files, including operating system files, software application files, lesser used data files and all data files from every company server. Verify that your backups are running on schedule. Do not simply assume your backups are running every night – until you check, you can never be sure. Address the frequency of your backups. Is backing up your data on a nightly basis really enough? Can you afford to lose an entire day’s work? You may need to adjust the way your backups run and how often your data is archived. Ensure every device is being backed up. These days tablets, smartphones and other devices store enormous amounts of data. Is the information they contain included in your backup plan? Give your backup a backup plan. It’s not enough to have a single backup – your backup also needs a backup. Making two backups builds redundancy into your network and adds an extra layer of security to your business. Think in terms of recovery. Having a backup plan in place is only the first step. If you want your business to survive a disaster, you need a plan for fast recovery. If your disaster recovery plan is robust and well thought out, your customers never need to know about the temporary loss of a server or critical device. Having a solid backup plan is critical to the health of your business, but so is the right software. After many years of faithful service and regular updates, the Windows 7 end-of-life date is rapidly approaching. As of January 14th, 2020, extended support for this popular operating system will officially come to an end. If you are still running Windows 7, it is time to develop an upgrade plan for all your devices. Once again, the experts at Ontech Systems are here to help you develop a comprehensive upgrade strategy that maintains support and helps you protect your data. Just give us a call and contact us today at 262-522-8560 to discuss your Windows 7 concerns, backup issues or anything else in the tech universe. Or, get started by requesting a free network discovery to get an assessment of your network. In the modern business world, even a few minutes of downtime could cost your business big time, and an extended outage could leave the very survival of your company in doubt. 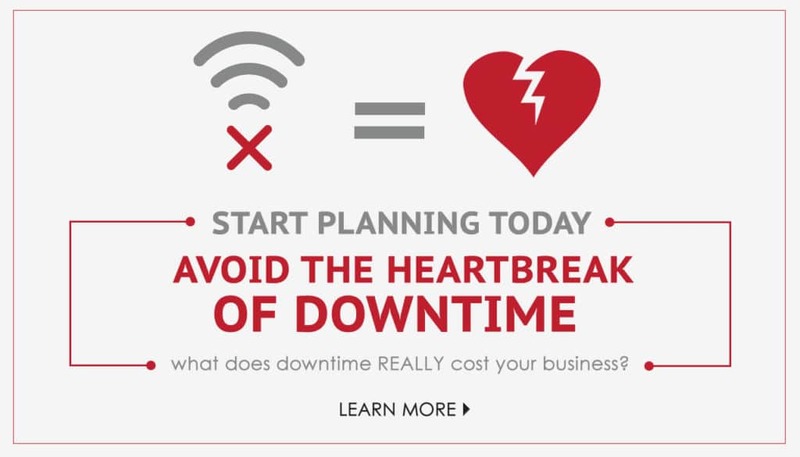 The heartbreak of downtime is real, but there are solid ways to protect a business and reduce the risk of downtime. Even if you do everything right – backing up your data, patching your servers and training employees, Mother Nature could still put your business at risk. Every part of the country faces its own weather challenges, including the state of Wisconsin. Wisconsin businesses may not have to worry about mudslides or hurricanes, but power outages, tornadoes, or flooding could strike at any time without warning. Without a disaster recovery plan in place, just think of the hardship your company would face if the local electric grid went down or water invaded your server room. In the cutthroat world of online commerce, there is never a good time for downtime, but Black Friday is arguably the worst possible day for a website outage. Yet that is exactly what happened to retail giants Lowes and Wal-Mart; when both companies experienced significant downtime on the biggest shopping day of the year. Even online behemoth Amazon.com is not immune to unexpected downtime, and once again the outage happened at the worst possible time. After weeks of promoting its Prime Day shopping extravaganza, Amazon.com saw its website crash just as the fun was getting started. No one knows for sure how much money was lost, but it’s almost certain that some shoppers took their business elsewhere during the extended online outage. You may not be able to predict a disaster, but you can prepare for the worst. Proactive planning is the best way to avoid downtime, and now is the time to start. Both data backup solutions and disaster recovery planning are important, and these two measures can work together to reduce downtime and prepare your business for the unexpected. Backing up your data to the cloud is a good place to start, but even the best data backup plan is no substitute for a comprehensive disaster recovery plan. Disaster recovery involves the creation of a comprehensive plan of action, one that can be put in place the minute a disaster strikes. Whether that disaster is a fire, flood, tornado or something else, the process is pretty much the same. The exact process of a disaster recovery plan will vary from one network to the next, so at Ontech Systems, we always customize the plan to the unique needs of your business. The cost of downtime is enormous, and a significant percentage of businesses that close during a disaster never reopen. The direct cost of downtime is only the beginning – the indirect damage can be far more severe. A business that suffers from an extended period of downtime or data loss could lose the confidence of its customers, and that lost confidence may never be restored. Fines from governmental agencies and private organizations. Higher costs for overtime and wages for members of the IT team. For publicly traded companies, loss of shareholder value and investor confidence. As a result of downtime, many companies experienced stock market losses, and while some have recovered, others have seen a long-term decline in share prices. What Are the Causes of Downtime? Aside from natural disasters, other common causes of downtime include hardware failure, software glitches, and attacks by hackers such as ransomware assaults. Disaster recovery for small businesses is of particular importance since cyber criminals target smaller businesses, given their track record for weaker network security. Insider sabotage is another common cause of downtime, and this threat often goes undetected. It’s easy to overlook the threat of an insider attack, especially given the current focus on hackers and other forms of cyber-attacks. Solid employee screening, access restrictions and ongoing monitoring can reduce these internal threats. While it’s not always possible to avoid downtime entirely, there are things you can do to reduce the risks and mitigate the damage. Monitor Threats: Installing network monitoring software that detects threats and blocks unauthorized access is a good place to start. Maintain Functional Backups: Making sure your backups are actually working as intended is a great step in the right direction – and it’s one that is often overlooked. Define a Disaster Recovery Plan: A well-rehearsed and comprehensive disaster recovery plan is a necessary step to prepare for a disaster. Practicing this disaster recovery plan at least once a year and making sure all IT staff are fully trained can make the plan more effective should a true disaster strike. Plan Ahead: As the saying goes, “fail to plan, plan to fail”. Businesses today face a variety of threats, and many security experts agree it’s not a matter of if, but when your business will face a cyber-attack. Unfortunately, in the volatile digital world we live in, planning is no longer optional. The good news is that you are not alone in your struggle to maintain a secure, stable network. Help is just a phone call – 262-522-8560 or click away. Ontech Systems works with small to mid-sized businesses throughout the southeast Wisconsin area to create reliable, stable, and customized data backup and recovery solutions. To get started, you can request a Free Network Discovery where Ontech will evaluate your network and offer data recovery solutions to secure your network and minimize downtime. Despite some gains from Linux and other alternatives, Microsoft remains the undisputed leader in the operating systems marketplace, and their flagship Windows Server line is the gold standard for companies worldwide. From early stage startups to Fortune 500 corporations, Windows Server is widely used and relied upon. If your business is running Windows Server 2008, you have some important decisions to make. After more than a decade of faithful service and reliability, this old workhorse is finally being put to rest. 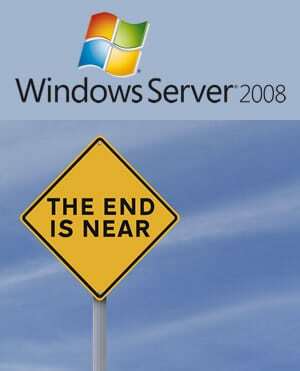 Microsoft had previously announced end of life for Windows Server 2008, but that date is rapidly approaching. So what should you do now that support is coming to an end? Is now a good time to upgrade? What does the upgrade path look like? Here’s what you need to know to maintain a secure, stable network in light of these upcoming changes. When Does Windows Server 2008 Expire? Windows Server 2008 is set to expire on January 14, 2020, less than a year away at this time of writing. As of this date, Microsoft will officially cease support for its flagship Windows Server 2008 R2 product. Mainstream support for Windows Server 2008 ended some time ago, and many companies have already upgraded, while others have not yet taken the necessary steps to do so. If your company falls into the latter category, there are risks and consequences of running outdated software, so you won’t want to put this off much longer. After January 14th, 2020, Windows Server 2008 will continue to function, but relying on outdated software could have serious implications for your business and customers. The most obvious problem is that updates will no longer be available, including vital security patches, but that’s not the only drawback. Failing to upgrade to a newer version of Windows Server could slow down your network and hinder productivity. Relying on an outdated operating system is always a dicey proposition, but the dangers are even greater when the hardware involved is a critical server and not a generic desktop. What Are the Windows Server 2008 Upgrade Options? Fortunately, there are a number of upgrade paths available, and there is still time to choose the one that works best for your company. For some businesses, the most viable option will be migrating to the cloud. Many companies have already made this choice and never looked back. Migrating to the cloud can free your businesses from constant hardware maintenance issues and the cost of replacement servers while ensuring a steady stream of updates and security patches. Moving to the cloud also makes remote work easier and simplifies file storage, file sharing, and other business-critical activities. Upgrading to the newest server operating system is another option to consider. While Windows Server 2008 is rapidly reaching the end of the road, Windows Server 2019 is still in its prime. By upgrading to the newest server operating system, you can keep your server hardware onsite while enhancing your existing IT infrastructure. No matter which option you choose, you’ll want to take stock of your existing software products and other applications. Ensuring compatibility is a critical step in any upgrade path, whether you choose the simplicity of the cloud or the security of an in-house server migration. While Microsoft is generally quite good about determining software compatibility and testing server operating system upgrades, when critical business operations are at stake, you need an expert in your corner. Ontech Systems can be your partner throughout the entire upgrade process, from assessing your current software installation and hardware infrastructure to developing a stable, secure path forward. Whether you choose an on-site upgrade to to server 2019, which includes downgrade rights, or a move to the cloud, Ontech is here to help you every step of the way. Just give our support team a call today at 262-522-8560 to discuss your upgrade needs or contact us online and let us know how we can help.